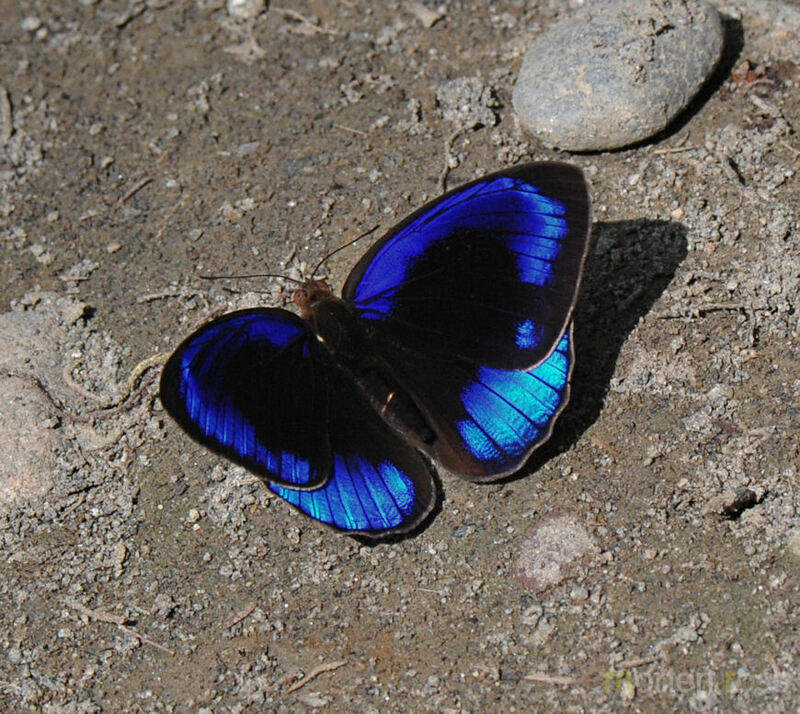 One of many wonderful species alongside the river bank of the Napo Wildlife Center welcome center. 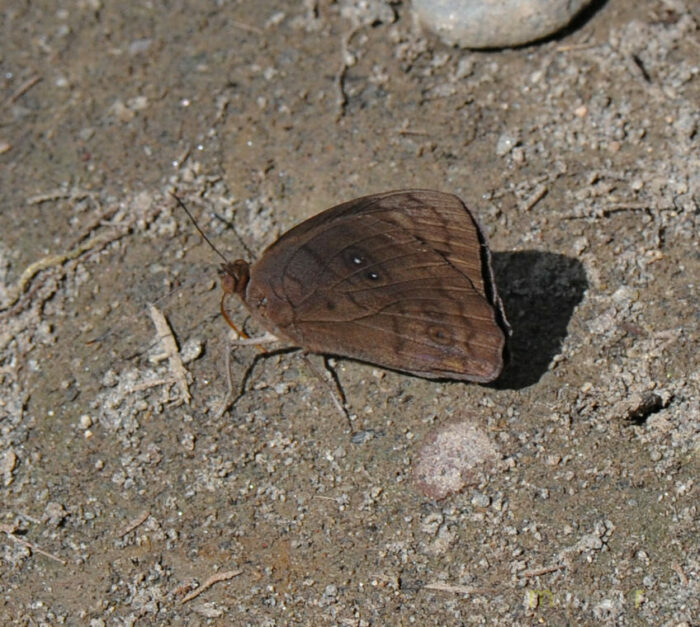 Like many species also this one preferred to sit with wings closed, and thus blend in with the muddy shore. 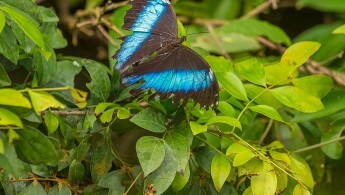 I noticed some blue in flight, but sitting it was not generous in opening its wings. 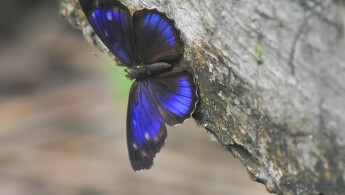 It finally decided to open its wings and flash the almost Morpho-like color blue. This was one of the”wow” butterflies for me.